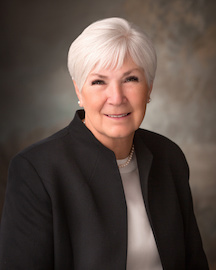 Gail Miller and her husband Larry H. Miller turned their Toyota dealership into a $4.4 billion company with over sixty dealerships (2016 sales). Her husband died in 2009 and she became the sole owner of the Larry H. Miller Group of Companies, which includes the car dealerships, the Utah Jazz and other sports teams, theater complexes, restaurants, and many other companies. She serves as chairman of the board. in 2012 she was named Time magazine’s Dealer of the Year. She is also the chairwoman of the Salt Lake Community College. She and Miller had five children, including Greg, who serves as the corporation’s CEO. She and the late Miller donated to many educational, charitable, and humanitarian causes, which she continues. DN: You write that you wished Larry had worked less and been more engaged with your family, but you have all of these resources and this success because Larry worked so hard. Do you think that you would have the resources that you have to help people if he hadn’t worked so hard? But when you do something so intensely as Larry did in running the company, something else suffers, and that was our family, and I don’t say that with any malice because he knew it. He agreed to it. He said it in his later years, “If I had it to do again, I would not have worked so hard. I would have spent more time with my family.” So he realized that he gave up something to build all of this. And you know, I’m glad we have it. I’m glad we’re able to do what we can do and make some commitments that make the world, make our community, better. But I also wish he had been able to know his kids better and to have had more time with them, to have given them the effort that he put into the people that he trained in the company. DN: So would you say that it was not worth that sacrifice? GM: No, I think it was worth that, and I didn’t realize that until much later when I realized that he did have an influence on them. He had an influence on the way they learned to work, in the loyalties that they have, in their value system, in the way they conduct themselves. Those are all really important things and he had that influence on them. And they’re very dedicated to what they do. They are good fathers, good family men, they’re good employees, they’re good community leaders, but they didn’t have that father-son relationship, and they can’t go back and get it. They did have a relationship with him later on when they worked with him, but it doesn’t replace the joy that you have as a father-son playing ball together or doing schoolwork together, and those are the kinds of things that they missed out, and he missed out on. … But I’m glad they had that much. In 2012 she married longtime family friend Kim Wilson. This page was last edited on 4 May 2018, at 16:24.